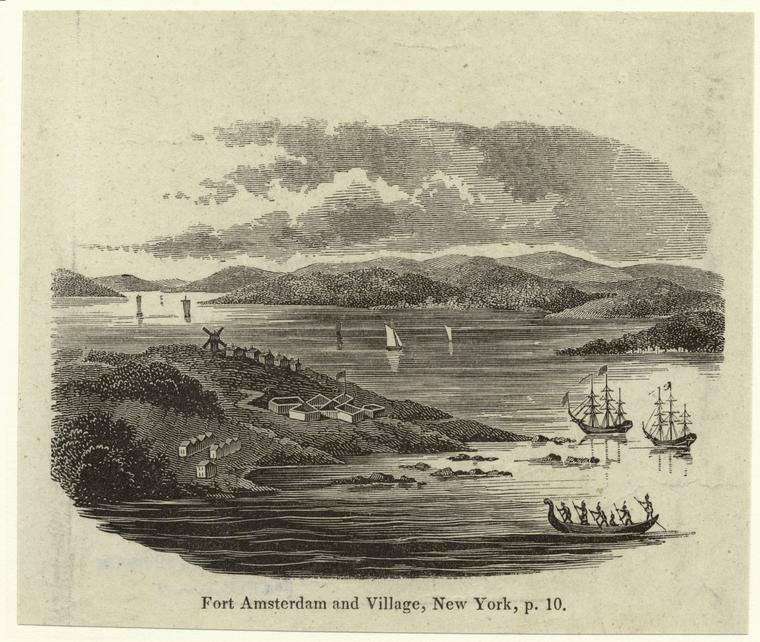 Fort Amsterdam (subsequently named Fort James, Fort Willem Hendrick, Fort James (again), Fort William, Fort Anne and Fort George) was a fort on the southern tip of Manhattan that was the administrative headquarters for the Dutch and then British rule of New York from 1625 until being torn down in 1790 after the American Revolution. 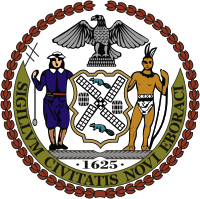 The construction of the fort marked the official founding date of New York City as recognized by the Seal of New York City. Guns at the fort formed the original battery that is today called Battery Park (New York). 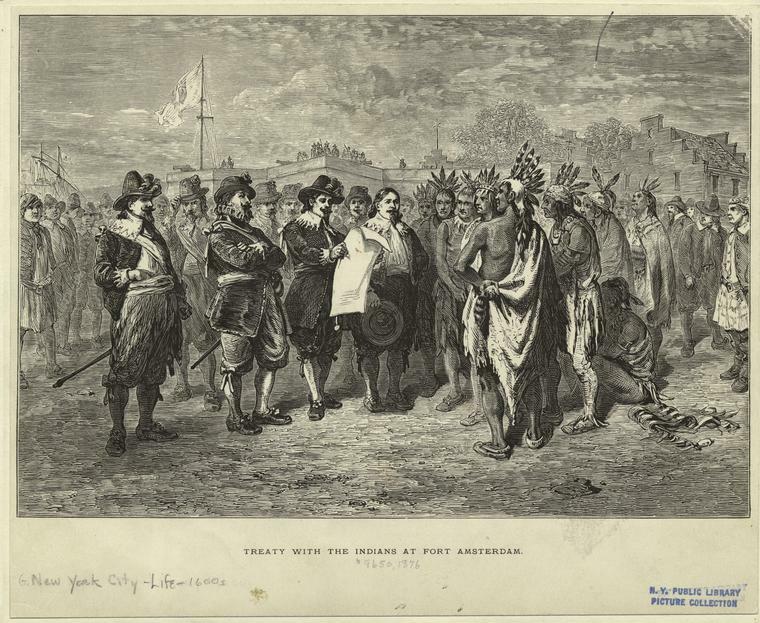 In October 1683 what would become the first session of the New York legislature convened at the fort. The fort was to change hands eight times in various battles including the Battle of Long Island in the American Revolution when volleys were exchanged between the fort and British emplacements on Governor’s Island. 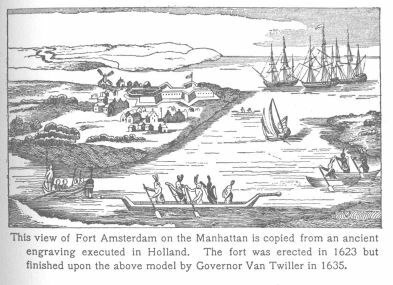 The fort was the nucleus of the New Amsterdam settlement with a mission of protecting New Netherland colony operations in the Hudson River against attack from the English and the French. Around 1620, the Dutch East India Company contacted the English architect Inigo Jones asking him to design a fortification for the harbor. Jones responded in a letter with a plan for a star-shaped fortification made of stone and lime and surrounded by a moat and defended with cannons. Jones advised the company against constructing a timber fort out of haste. 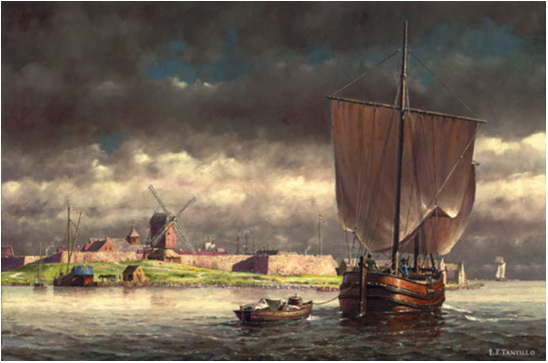 The building of the fort commenced in 1625, under the direction of Willem Verhulst, the second director of the New Netherland colony and his chief engineer Cryn Fredericksz. By the end of the year, Fredericksz had surveyed the site. 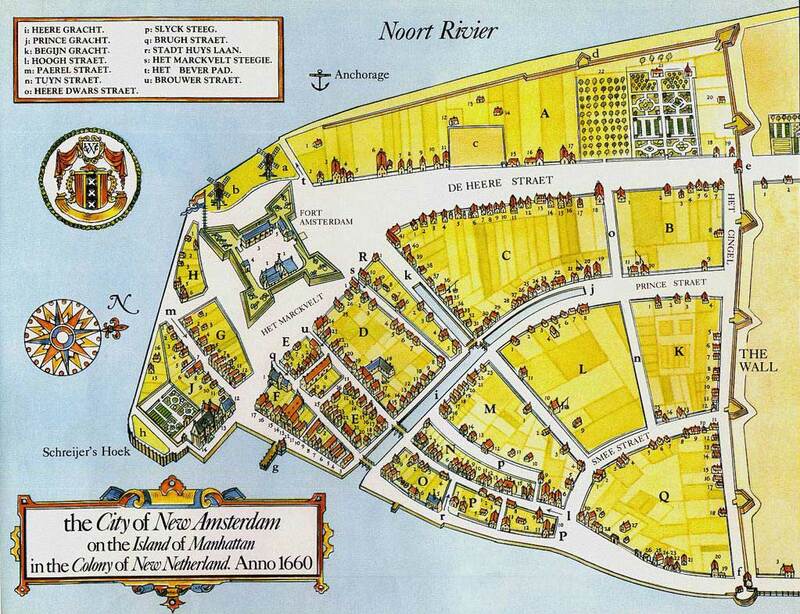 He returned to the Dutch Republic in November of 1626. 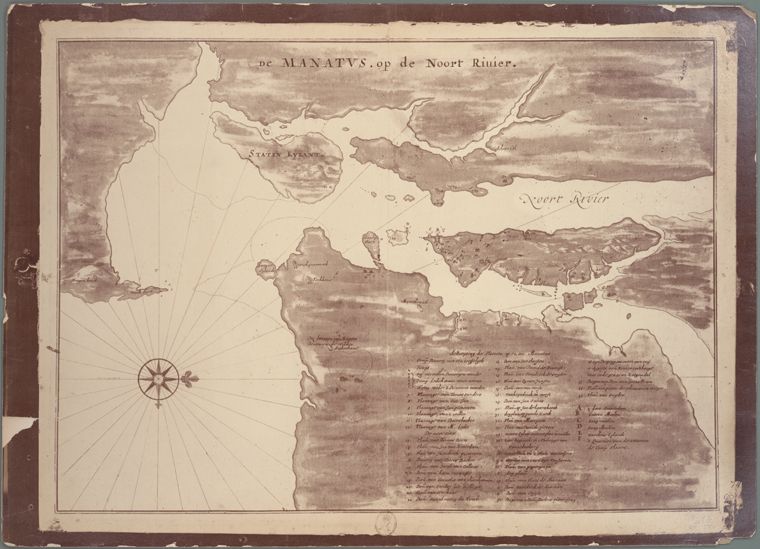 At the time, Manhattan was only lightly settled, as most of the Dutch West India Company operations were upriver along the Hudson in order to conduct trading operation for beaver pelts. the looming threat from England and France, which were also conducting beaver trade operations in North America. England, in particular, had laid claim to the region as well. 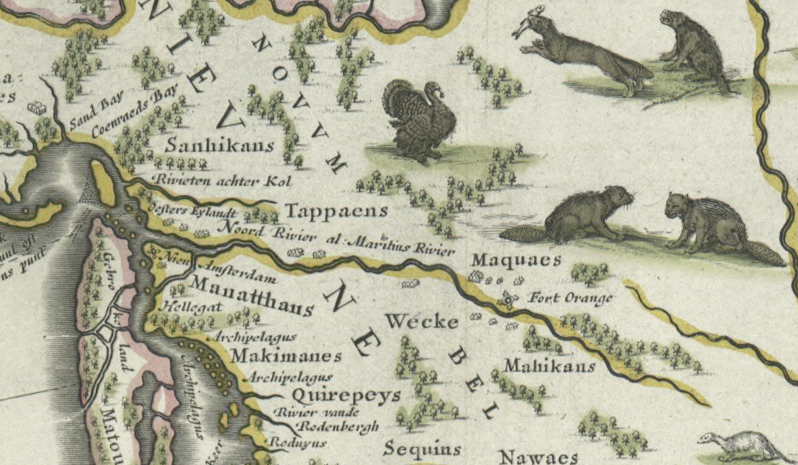 the growing threat of the Mohawk-Mahican War in the upper Hudson Valley,which itself was partially the result of the fur trade operations there. the fact that the company was not turning a good profit, and thus the cost of a masonry fort was deemed too high. the lack of labor and natural resources to construct a proper masonry fort. 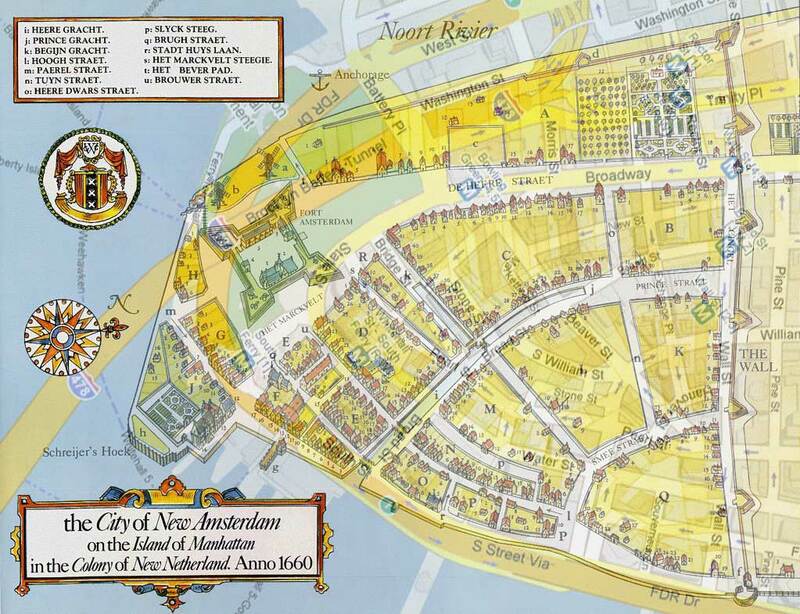 No shots were fired when on August 27, 1664, when the Dutch were surrendered the fort and Manhattan in what amounted to one of the skirmishes in the bigger Second Anglo-Dutch War. The fort was renamed Fort James in honor of James II of England. 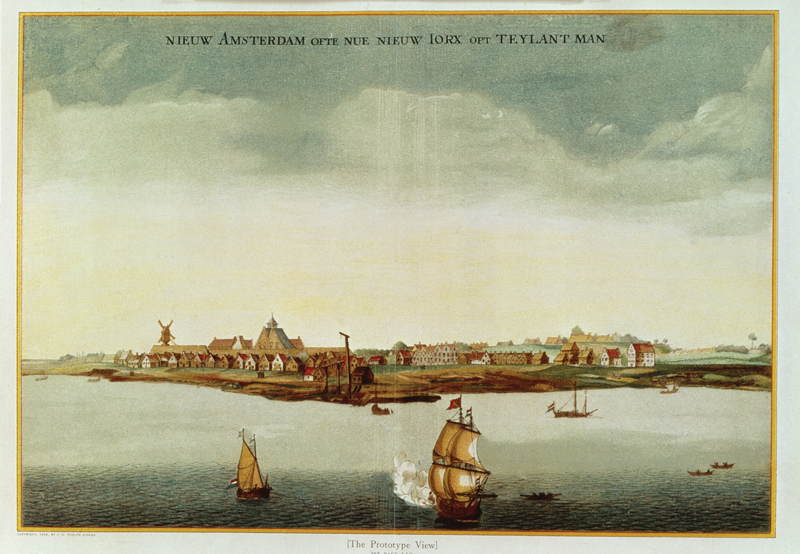 New Amsterdam was renamed New York in recognition of James title as Duke of York. 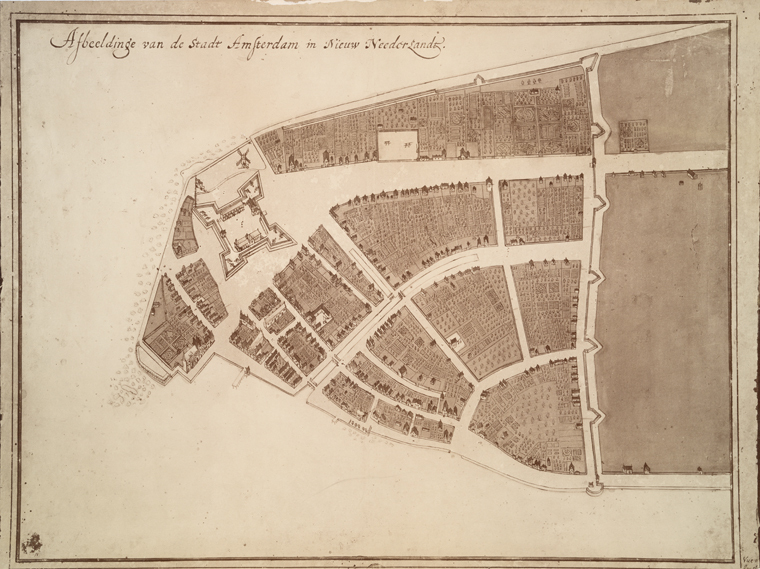 In August 1673, the Dutch brought in a fleet of 21 ships and recaptured Manhattan. The fort was renamed Fort Willem Hendrick in honor of the Dutch leader who was Stadtholder and Prince of Orange. New York was renamed New Orange. The Dutch attack was part of the bigger Third Anglo-Dutch War. In 1674 the fort and New Orange was turned back over to the British in the Treaty of Westminster (1674) which ended the war (the Dutch got Suriname). 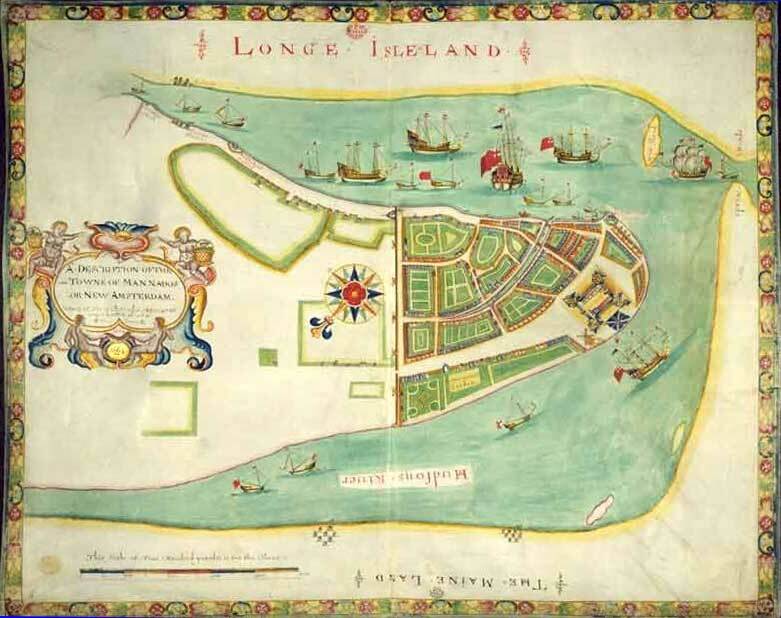 “When the British wrested New Amsterdam from the Dutch in 1664, the truth about its thriving, polyglot society began to disappear into myths about an island purchased for 24 dollars and a cartoonish peg-legged governor. 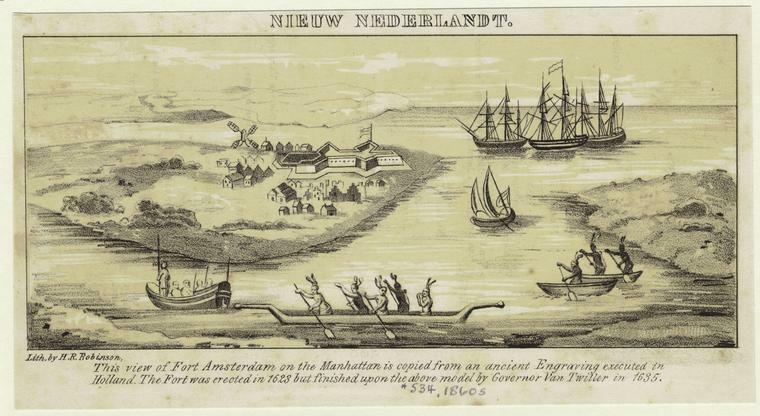 But the story of the Dutch colony of New Netherland was merely lost, not destroyed: 12,000 pages of its records–recently declared a national treasure–are now being translated. Drawing on this remarkable archive, Russell Shorto has created a gripping narrative–a story of global sweep centered on a wilderness called Manhattan–that transforms our understanding of early America. Click to open a larger image.